Permilia/Parmelia “Melly” Greer Jones (1795-1875). Moss Springs Cemetery, Jasper County, Missouri. So–who was John Bass Jones? A connecting link to many individuals portrayed in this series, John Bass Jones suddenly emerges on the scene and captures everyone’s attention. He stands at the crossroads of a number of connections. And because of his surname “Jones”, I feel as though I need to introduce him here and then place him aside until I arrive at the story of his murder two years after the Civil War. I think he would like that. He was a scoundrel, a rascal, a varmint, a “twerp” and a host of other names. So it is time to introduce him here in order to show how his family weaves in and out of the other family groups. The youngest son of John Jones (1794-1843) and Parmelia/Permilia “Melly” Greer, John Bass Jones was born in Sarcoxie, Newton County, Missouri March 10, 1838, and he died in a hail of bullets April 16, 1867 in Jackson Twp., Jasper County, Missouri. He came from a good family. His parents were among the earliest settlers in Jasper County, and his father’s name is on the Moss Springs Pioneer Monument. This Jones family history is sketchy. For years, people have recorded the wrong information about them. I bought into that information until I started digging into the records because I wasn’t satisfied with the information I had. There seemed to be no connection between John Bass Jones’ father and the people purported to be siblings. The information I present here is what I have to date. And the first problem centers around a tombstone inscription: John Jones’ tombstone–the father of John Bass Jones. According to the inscription on John Jones’ tombstone, he died October 3, 1843 in Jasper County, Missouri at the age of “43 yrs 4 mo 14 d”(1). Based upon this inscription, people have placed his date of birth as May 30, 1800. However, a problem arises with this interpretation. According to a copy of the original marriage record, John Jones and “Milly” Greer were married September 30, 1813 in Davidson County, Tennessee(2). Melly would have been 16 to 18 years of age, but John would have been 13. In all likelihood, the tombstone carver made a mistake and the “43” should have been “49”, making John’s year of birth 1794 and not 1800! The rest of the problem with his date of birth centers around calculations. Four months from October places the birth month as June. 14 days from October 3 places the date of birth as the 20th. John’s date of birth was June 20, 1794. What follows was a huge surprise. I always considered it strange that John Jones and his son John Bass Jones were buried in the same plot or area of the Moss Springs Cemetery with the Lewis Jones family. It is true that the two families intermarried, so I thought they were buried there for that reason. Then came a real shocker. They were buried there because they were family! John Jones (1794-1843) was a brother of Lewis Jones (1795-1849)–the husband of Milly Catherine Spence–and James B. Jones (1797-1870)–the husband of Charlotte T. Greer. John Jones was the oldest surviving son of Daniel Jones (1767-1815) and Sarah “Sallie” Basset (1769-1837). So there is no separate third line of Joneses! Furthermore, this John Jones was the John Jones appointed as administrator of David Spence’s estate in Davidson County, Tennessee in 1815(3) John Jones filed an inventory in David Spence’s Estate in November 1817 (4). As noted in an earlier section in the William Spence series, David Spence was a younger half-brother of Elisha Spence (1776-1835), and was the son of David Spence (1735-1790) and Elisha Spence’s mother Judha Perry (1748-1795). David Spence died in camp while serving in the War of 1812! 1. John Jones (1788-1794). No additional information. He was the first-born and he died young–the reason why I could find no additional information about him. Had he lived, he would have moved to Missouri with his brothers! 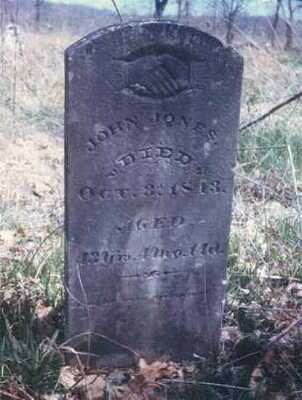 He is not John Jones (1794-1843), who is buried in Moss Springs Cemetery! 2. Ollie Basset Jones (1789-1873). Her family is set out in Part Seven. She and her husband Samuel Smith settled in Fernvale, Williamson County, Tennessee. b. James Greenberry Jones (1824-1884). James was born December 19, 1824 in Davidson County, Tennessee, and he died January 1, 1884 in Lincoln, Atchison, Missouri. 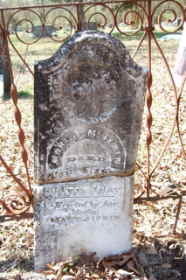 His wife was Susan Jane Hammer (1825-1904), the daughter of Jacob Hammer (1793-1855) and Mary Polly Onstott (1793-1870)–another pioneer family of Jasper/Newton Counties. Their children were: (i) Sarah E. Jones (b. 1844); (ii) John David Jones (1847-1880); (iii) Joseph Greenberry Jones (1849-1933); (iv) George T. Jones (b. 1851); (v) Martha J. Jones (1854-1928); (vi) Mary Adaline Jones (1856-1934); (vii) Bluford Jacob Jones (1858-1917); (viii) Warren P. Jones (1860-1926); (ix) James Price Jones (1863-1933). c. Joseph Lewis Jones (1827-1880). Joseph was born in Davidson County, Tennessee, and he died in Benton County, Arkansas. His first wife was Nancy Thompson Hazelwood (1829-1860). Their children were: (i) John Cass Jones (1849-1920); (ii) Greenberry “Green Berry” Jones (1852-1936); (iii) Mary M. Jones (b. 1854); (iv) Martha Jones (1856-1880); (v) William Craig Jones (1861-1935). His second wife was Elizabeth (maiden name unknown) (1845-1874). Their children were: (i) Amanda Jones, born 1865; (ii) Margaret Jones, born 1869; (iii) James R. Jones, born 1871; (iv) Wilson R. Jones, born 1872; (v) Sarah A. Jones, born 1874. Daniel J. Hammer (age 8)(7). I’m not sure whether Daniel is Nancy’s son, or whether he is a member of another Hammer family. Permelia J. Hammer is Nancy’s mother, Melly Greer Jones. I have not found a marriage record for her with a Hammer. This may have been a census taker’s error in assuming that everyone in the household was a Hammer. After her husband’s death, Nancy married her first cousin’s husband, Capt. William Newton Warren (1829-1883). Her first cousin was Sarah Zane Jones (1823-1862), a daughter of Lewis Jones and Milly Catherine Spence. The story of her flight to Texas when the Union Army entered Missouri is told in Part Seven. Her mother, Melly Greer Jones, remained in Missouri. The children of Capt. William Newton Warren and Nancy Tennessee Jones follow: (i) Amelia Warren, born 1863; (ii) Gustavos Ericson Warren (1866-1947); and (iii) Effie Warren (1868-1936). e. Margaret Martha Ann Jones (1834-1918). Margaret was born in January 1834 in Sarcoxie, Newton, Missouri, and she died December 25, 1918 in Oneta, Wagner, Oklahoma. Her husband was George Washington Hammer (1829-1875)–another son of Jacob and Mary Onstott Hammer, and a brother of Harrison and Susan Jane. Their children were: (i) Permelia J. Hammer (1851-1880); (ii) James Emery Hammer (1853-1925); (iii) Francis Marion Hammer (1856-1901); (iv) Hezekiah Houston Hammer (1858-1913); (v) Sterling Richard Hammer (1861-1929); (vi) John B. Hammer (1863-1929); (vii) Mary T. Hammer (1866-1891); (viii) William Dudley Hammer (1868-1947); (ix) Joseph T. Hammer (1871-1885); and (x) Jesse Wade Hammer (1875-1969). An Elias Reece Porter (1850-1901) is listed with this family. I’m not sure who he is–whether he is an orphan who was being raised by the family, or whether he was a relative who was living with them. f. John Bass Jones (1838-1867). John gets his own special section below. 1. Nancy Greer (1785-1842). Nancy was born in Franklin County, Virginia in 1785, and she died after 1842 in Davidson County, Tennessee. Her first husband was John Lamb Goodwin (1775-1824), whom she married in Davidson County, Tennessee April 24, 1809(8). They had six children, whose names are unknown. Her second husband was Jacob Tennison (born 1789.) Nothing else is known. 2. Isaac D. Greer (1788-1860). Isaac was born in 1788 in Bedford County, Virginia, and he died in 1860 in Davidson County, Tennessee. Isaac also has two marriages. His first wife was Tabitha Goodwin (1789-1829), whom he married March 18, 1808 in Davidson County, Tennessee(9). They had two children: (a) Henry E. Greer (1811-1882). Henry was born in 1811 in Davidson County, Tennessee, and he died in 1882 in District 8, Perry County, Tennessee. His first wife was Harriet P. Henry (1819-1859), whom he married in Davidson County December 6, 1834(10). Their children were (i) Thomas Greer, born 1836; (ii) Joseph A. Greer (1837-1909); (iii) Margaret Greer (1839-1884). His second wife was Cordelia Cain (b. 1840). Their children were: (i) Mary Izora Greer (1863-1896; (ii) Martha A. Greer (1865-1928); and Sarah C. Greer, born 1868. (b) Charlotte Greer (1816-1879). Charlotte was born in Davidson County, Tennessee in 1816, and she died March 22, 1879 in Humphreys County, Tennessee. On November 4, 1830, she married William McIllwain (1808-1870) in Davidson County, Tennessee)(11). Their children were: (i) Mary Elizabeth McIllwain (1834-1876); and (ii) Henry Martin McIllwain (1837-1913). Isaac’s second wife was Margaret “Peggy” Richardson (1791-1872), whom he married July 25, 1831 in Davidson County, Tennessee(12). 3. Susannah Louzania Luzany Greer (1793-1875). Luzany Greer was born November 8, 1793 in Bedford County, Virginia, and she died September 28, 1875 in Paris, Henry, Tennessee. On February 8, 1812, Luzany married William D. Dillahunty (1793-1838) in Davidson County, Tennessee(13). William was the son of Dillahunty, Jr. and Rachel Koonce (1758-1826), and a grandson of the Rev. John Dilahunty, Sr. (1728-1816) and Hannah Neal (1732-1816). The Rev. John was born in Havre de Grace, Maryland, and he died at Belle Meade, Davidson County, Tennessee. The Rev. John was instrumental in establishing the Baptist faith in Davidson County. The Dillahunty family left Maryland for North Carolina, where John Jr. was born in Dobbs County. And from there they went to Davidson County, Tennessee. The children of Luzany Greer and John Dilahunty, Jr. follow: (a) James D. Dillahunty (1813-1893); (b) John G. Dillahunty (1815-1880); (c) Elizabeth “Betsey” Dillahunty (1816-1891); (d) William Louis Dillahunty (1818-1876) (e) Greenberry D. Dillahunty (1820-1891); (f) Charlotte Marinda Dillahunty (1821-1903); (g) Francis Marion “Locke” Dillahunty (1823-1910); (h) Joseph Henry Dillahunty (1826-1897); (i) Oliver Cromwell Dillahunty (1823-1852); (j) Helen Rachel Dilahunty (1830-1882); (k) Martha Luzany Dilahunty (1832-1858). Martha was born December 15, 1832 in Henry County, Tennessee, and she died September 9, 1858 in Mineral Wells, Palo Pinto, Texas. Her husband was John Dillard Love (1822-1889). They had one daughter named Mary Willy Zane Love (1852-1823);(l) Tabitha Dillahunty (1834-1835). Tabitha was born November 30, 1834 in Henry County, Tennessee. 4. Tabitha Greer (1794-1850). Tabitha was born in Davidson County Tennessee in 1794, and she died in Davidson County, Tennessee in 1850. Her husband was Houston Cooper (1790-1860). I know nothing more about them. 5. Permelia/Parmelia “Melly” Greer (1795-1875)–John Bass Jones’ mother. Under discussion here. 6. Mahulda/Huldah Greer (1804-bef. 1860). 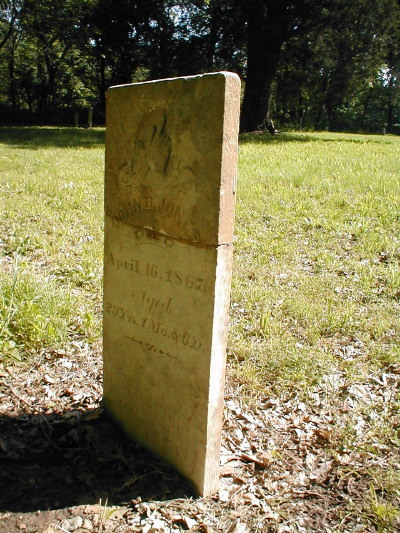 Huldah was born in Davidson County, Tennessee in 1804, and she died before 1860 in Cheatham County, Tennessee. Her husband was Benjamin Franklin Hannah (1800-1860). Their children were: (a) Louisa Hannah (1824-1880); (b) Joseph Henry Hannah (1832-1904); (c) James Hannah (born 1832); (d) George Woodward or Woodard H. Hannah (1840-1900); (e) Benjamin Franklin Hannah, Jr (1843-1930). 7. James Lowe Greer (1806-1869). James was born in Davidson County, Tennessee November 25, 1806, and he died August 5, 1869 in Davidson County. His first wife was Hannah Dillahunty (1806-1849). Hannah was a daughter of Silas Dillahunty (1780-1829) and Sarah “Sallie” DeMoss (1783-1829). Sallie DeMoss was daughter of James DeMoss (1758-1813) and Luzany Taylor (1764-1786). James DeMoss was a brother of Charlotte DeMoss, James Lowe Greer’s mother. On the Dillahunty side, Silas Dillahunty was a son of John Dillahunty, Jr. and Rachel Koonce, and a brother of William D. Dillahunty, who married James Lowe Greer’s sister, Luzaney Greer! The children of James Lowe Greer and Hannah Dillahunty were: (a) Green Berry (Greenberry) Greer (1835-1855); (b) Joseph Silas Greer (1838-1921); (c) John Taylor Greer (b. 1843); (d) James Lowe Greer, Jr. (1848-1910). James Lowe Greer’s second wife was Louzanie P. “Zaney” DeMoss (1821-1900). Zaney was the daughter of Thomas Washington DeMoss (1789-1863) and Elizabeth “Betsy” Shelton (1799-1850). Thomas was the son of Abraham Louis DeMoss (1753-1820) and Hannah Greer (1755-1839). Hannah was the daughter of John G. Greer (1714-1782) and Nancy Ann “Nancy” Walker (1716-1804). The story takes an interesting turn here. Hannah Greer (daughter of John and Nancy) had a brother named Joseph Greer (1767-1834). This Joseph Greer was born in Bedford County, Virginia in 1767, and he died in Franklin County, Virginia in 1834. His wife was Frances “Fanny” Lyon (1768-1830). Their children were: (a) John Greer (1796-1857); (b) Lucy Greer (1801-1838); (c) Charlotte T. Greer (1803-1877); (d) Peter B. Greer (1808-1875). My interest here is on Charlotte T. Greer. Charlotte was born in Tennessee in 1803 and she died February 22, 1877 in Newton County, Missouri. On September 8, 1821, Charlotte married James B. Jones (1797-1870)–a younger brother of Lewis Jones (1795-1849) and John Jones (1794-1843(14). Lewis was the husband of Milly Catherine Spence (1802-1875)–the oldest daughter of Elisha Spence (1776-1835) and Susannah Spencer (1785-1810). John was the older brother of Lewis and James B., whose wife was Melly Greer. So this is another connection between the two Jones families. James B. Jones and Charlotte T. Greer had two children: (a) Rachel Emeline Jones (1824-1861); and (b) George Jones (1831-1850). Now for another interesting twist to the story–this one centering upon Rachel Emiline Jones! 8. Joseph H. Greer (1810-1835). Joseph was born December 23, 1810 in Davidson County, Tennessee, and he died August 22, 1835 in Davidson County. I have no information additional information about him. There is a Green Berry Greer Cemetery in Davidson County, Tennessee where many members of the Greer family are buried(15). Likewise, the Dillahuntys had a Dillahunty Family Cemetery in Henry County, Tennessee(16). Those graves are all posted on Find-a-Grave. 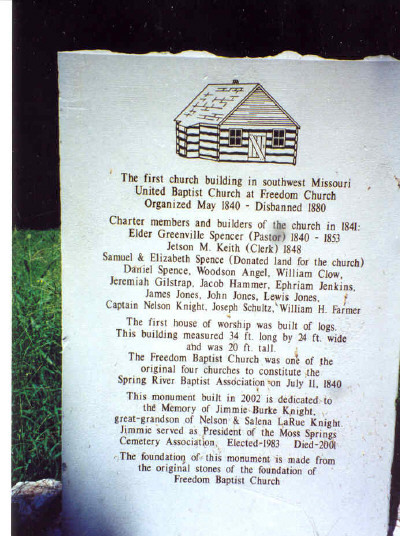 John Jones and Permelia Greer are both buried in the Moss Springs Cemetery, Jasper County, Missouri. John Bass Jones (1838-1867). Grave at Moss Springs Cemetery, Jasper County, Missouri. Photo taken May 2002. According to my Ancestry calculator, John Bass Jones is a brother-in-law of my first cousin four times removed. That relationship may possibly change after Ancestry catches up with all the changes I have made today! John Bass Jones was born March 10, 1838 in Sarcoxie, Newton, Missouri, and he died April 16, 1867 in a hail of bullets in Jackson Twp., Jasper County, Missouri at his first cousin’s farm. That cousin was John David Jones (1827-1870), a son of Lewis Jones and Milly Catherine Spence. People called him “Bass”. Presently, I have no idea how he obtained his middle name. John Bass Jones and his sister, Martha, were the only two children born in Missouri. They were well aware of their family’s close association with the Spence family in Tennessee and in Missouri. John was only five years old when his father died. But his mother and other family members kept him informed of these stories. In addition to Milly Catherine Spence Jones, John knew Samuel and Daniel Spence, Milly Catherine’s brothers. He sometimes accompanied his cousin, John David Jones, to the Spence farms. On one such excursion, Samuel Spence (my third great grandfather), told him how his father, John Jones, was the administrator of Samuel’s uncle’s estate. John didn’t know what an administrator or an estate was, but he listened to the story. “What was his name–your uncle?” John asked. There was another attraction that secured young John’s interest at the Samuel Spence farm. His name was Newton Jasper Spence (1841-1882), a younger son of Samuel and Elizabeth Inman Spence. Three years younger than John, Newt Spence had more ideas for adventure than anyone John Bass Jones had ever known. And the two would become a plague in Jasper County in the early stages of the Civil War. John Bass Jones became engrossed in secession talk that was sweeping the region. When he was younger, he and Newton Jasper fought invisible Yankees in the cornfields. As they grew older, the pair became associated with men with a dangerous eye for trouble. And Newton County (where John Bass lived) was definitely a “Little Dixie.” John Bass Jones grew up to despise the Union men living on Jones Creek. Keeping his opinions to himself was not part of his makeup. He did a great deal of spouting off and sometimes picked himself up off the ground as a result of it! Only two census records bear his name. The 1850 Census record for Sarcoxie Twp., Jasper, Missouri shows twelve-year old John residing in his mother’s house. The census taker identified Permelia as Phoebe Jones and gave her year of birth as 1808 (she was born in 1795). The rest of the record is fairly correct(17). John also appears on the 1860 Census for Granby, Newton County, Missouri at the age of twenty-two in the Asa Scott household(18). His occupation is listed as a miner. Granby is important to this narrative. Some known bushwhackers resided in the area, and they definitely had an influence on John. He and Newton Jasper Spence formed their own little hoodlum group. They rode through the farms in Jasper County “whooping and hurrahing” and tearing up fencing along with other property structures. Bullets flew in all directions. Newton Jasper Spence could hardly wait until he was twenty-one to join the Confederate Army. Several of John Bass Jones’ brothers-in-law also joined the Confederate Army. John Bass Jones went to Arkansas to let things cool down in Jasper County. His mother sent him down there. A number of her family members were in the Confederate Army. She decided the Army didn’t need John! And a number of her family members living in Arkansas would keep John out of trouble. So John went to Arkansas. It is unknown how much trouble he got into. But he met his future wife while there. When I first began this research a few years ago, I discovered the wife of John Bass Jones was a Pipkin, but I focused on the wrong one. John’s wife was from the same Pipkin family, but she was a distant cousin of the woman I originally identified. John’s wife was a Baptist; the woman I originally focused on was a member of the LDS Church. And that was another reason why Permelia chose Saline County, Arkansas relatives for John. A Henderson family founded the Baptist Church there where her relatives were members. Some of their relatives were living in Missouri with his aunt Charlotte T. Greer Jones (James B. Jones’ wife). His uncle Jim had to go away on business in 1850, so the Hendersons moved into the household, where they appear on the 1850 Census(19). John Bass Jones didn’t mind the younger three children from Arkansas: Mary Ann Henderson (age 15); James Henderson (age 12); and William Henderson (age 10). Their parents were Abner B. Henderson, who was born in 1807 in Dearborn County, Indiana, and who died in 1840 in White River, Independence County, Arkansas, and Mary Adaline Hawkins, who was born in 1816 in New Jersey and who would die in Benton County, Arkansas after 1880. But he did mind the other Henderson living there–Otey Henderson–who was seventeen years old at the time and from a completely different Henderson line. His father was Joseph R. Henderson, Jr. (1802-1868) and Agnes Nancy Minnis (1804-1883). They were from Overton County, Tennessee. Otey’s uncle, Gideon B. Henderson (1808-1857), also lived in Newton County with his wife Jane and son, Abel(20). John Bass Jones and Otey Henderson engaged in a few dust-ups over the matter. By 1860, Uncle James B. Jones was home and the Hendersons returned to their respective places. Otey was the first to go and returned to his family in Carroll County, Missouri, for which John was glad. By 1863, John learned Otey was Capt. William Moses “Otis/Otey” Henderson of the Union Army(21). John had plenty comments to make about that! So, it is just as well, Permelia decided, not to tell John about the Hendersons who founded the Baptist Church he will be attending in Saline County, Arkansas! John’s future wife was Mary Jane Pipkin. She was born November 3, 1836 in Arkansas, and she was the daughter of Willis Stephen Pipkin (1808-1848) and Mary Couch (1812-1890). The Pipkins came from North Carolina and settled in Saline County, Arkansas by 1838. John probably met Mary Jane in church; his mother’s relatives never missed a Sunday. By the time John met Mary, she was already a widow. 1. Ann Pipkin, who was born in 1829. Nothing else is known. 2. Martha Nancy Pipkin (1831-1908). Martha was born August 8, 1831 in St. Clair, Alabama and she died January 8, 1903 in Saline County, Arkansas. Her husband was James Monroe Kesterson (1828-1862). Their children were: (i) Sarah Jane Kesterson (1851-1908); (ii) Wilma Emaline Kesterson (1856-1882); (iii) Samuel L. Kesterson (1857-1927). 3. Sarah Pipkin (1833-1860). Sarah born 1833 in St. Clair, Alabama, and she died in 1860 in Saline County, Arkansas. Her husband was Jerome Bonaparte Kesterson (1829-1862). Their children were: (i) Mary Catherine Kesterson (1856-1924); (ii) Willis Vincent Kesterson (1858-1901); (iii) Martha Ann Kesterson (1860-1920). Mary Jane Pipkin McFerrin/McFerren Find-a-Grave Photo. 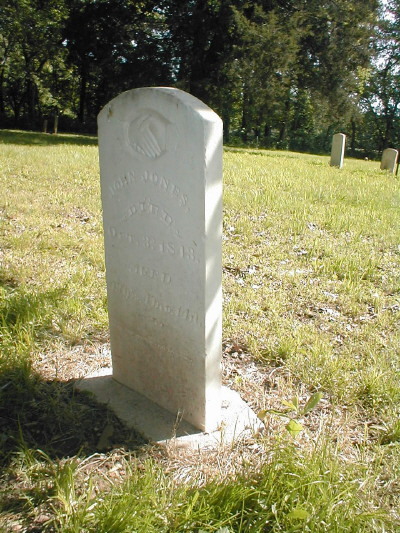 John McFerrin, enlisted Feb 20, 1862, Betnon, Arkansas, Colonel Crawford, 2 years, has not been paid anything, absent from muster, Dropped from muster roll by order of Colonel Colquitt, sent to hospital 5 May 1862, has not been heard from, supposed to be dead(23). Her husband was not killed in battle; he was sick and died from his illness. As far as I can confirm from the records, they did not have any children. 6. Catherine Pipkin (1840-1883). Catherine was born in 1840 in Saline County, Arkansas, and she died October 1883 in Saline County, Arkansas. She had five marriages. The first was February 25, 1847 to John J. Johnson. The second was July 19, 1857 to Littleton H. Johnson (1830-1862). They had one child: William L. Johnson (b. 1860). The third was to John M. Jacobs (1816-1875). Their children were: (i) Joseph C. Jacobs (1865-1891); (ii) Mary Jacobs (1869-1920); (iii) Emma Jacobs (1871-1956). The fourth was to William J. Winston Wakefield (1814-1877). They had one child: Lillie Wakefield, born 1877. The fifth was to Robert P. Ware, born 1828. Their son was Horace Jewell Ware (1882-1859). 7. William Pipkin (1842-1862). William was born April 1842 in Saline County, Arkansas, and he died in the Battle of Shiloh in Tennessee on April 6, 1862. 8. James Milton Pipkin (1846-1921). James was born April 30, 1846 in Saline County, Arkansas, and he died in Little Rock, Pulaski, Arkansas on February 12, 1921. His wife was Martha “Mattie” Tennessee Crawford (1849-1942). Their son was Dr. John Willis Pipkin (1869-1914). 9. 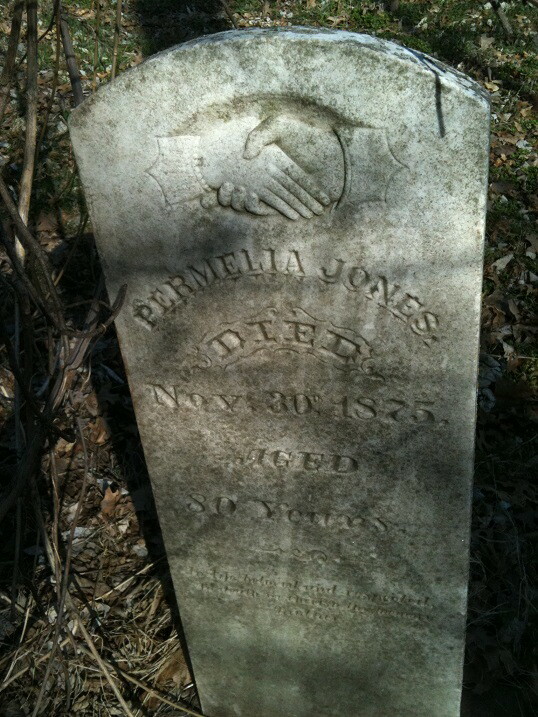 A daughter (name unknown) who was born before 1848 in Arkansas, and who died before 1854. When John Bass Jones met his future wife at church, she was still wearing her widow’s garment. He thought she looked so young, so he had to ask his mother’s relatives about her. They told him the story–and the story intrigued him all the more. Some time passed before he actually spoke with her, and it was probably at a church ice cream social. They were married either in late 1866 or very early in 1867. Then John made a fatal mistake. He decided to return to Missouri and settle near what was left of his family. Most of them had fled to Arkansas or to Texas. His mother still lived in Missouri; he and his wife could help her on her farm. There is something about the return of a disliked individual to a region where that person once raised a lot of Cain. John’s return to Jasper and Newton Counties sent out an alarm that rippled throughout the area. He made the claim that he would round up a group of bushwhackers in Arkansas and wipe out all the Union men living on Jones Creek! He was staying with his cousin, John David Jones, on April 16, 1867 when he was killed. Masked men arrived at the farmhouse, ordered John out in the darkness, and shot him full of holes on the road. His wife was a widow once again. The story of an 1880 murder trial concerning his death will appear later. Daughter of Willis and Mary Couch Pipkin. Wife of John McFerrin, Married on June 19, 1851 in Saline County. Note: Headstone spelled McFeren, marriage license is McFerrin. Her husband’s Civil War records list the spelling as McFerrin and McFerin. Her husband,John McFerrin, enlisted in the Civil war on February 20, 1862 in Benton, Arkansas. He was sent to the hospital on May 5, 1862 in Okolona, Mississippi. His regiment, Colquitt’s Company E Arkansas Infantry, never heard from him again. He was removed from the muster rolls on August 1863, “Supposed to be dead”. No children were listed in any records. Note: Pipkin Family Plot, Pipkin Cemetery, Old Congo Road, Saline County, Arkansas. Willis Pipkin on left obscured by cedar tree, wife Mary Pipkin in unmarked grave in center, daughter Mary Jane McFeren on right. Both stones are broken. Barbara, Thank you for doing an amazing job in our family research. Thank you, Pat! It’s a challenge at times! Thank you so much for sharing all of this information. My Great, Great, Great Grandfather was Joseph Lewis Jones and we are the line that ended up in Benton Co., Arkansas. My Great Grandfather was Green Berry Jones, Jr.. I have had a difficult time as well trying to get the family lines straight. Especially through the civil war era. I am curious to know more about when the family was ordered to move and why they went to Texas. My belief is they were thrown out of Jasper Co under order no. 11 during the war so August of 1863. I understood through family stories that they went to Texas and then came back and settled in Arkansas in late 1864. Do you have any information on that? Thanks again! That’s exactly what happened to those families. Ewing and his Orders decimated Missouri. Back in 1997, my husband and I were visiting cemeteries in Jasper County and Newton County, Missouri. We went down to McDonald County as well. Then we crossed over the Missouri line into Benton County. There is a cemetery called Butler Creek on the Benton side of the state line where my 3rd great grandparents–Joel Hood and Nancy Haskins–are buried. I remember that while walking down toward their stones, I saw a large number of Jones family members buried there. They must be the Joneses who fled to Texas and who them went to Arkansas. I too am a great granddaughter of Green Berry Jr. My grandmother was Theodosia Belle Jpnes. Would love to hear more from you. Yes, the Joneses that are buried at Butler Creek are my Great Great Grandfather Green Berry Jones and they lived 1 mile west of the cemetery in a spot called Round Top. They had a large farm and raised mostly cattle and hogs. I have an article that was published in the Benton County Pioneer Vol. 6 No. 6 September 1961 by the Benton County Arkansas Historical Society that talks about the Round Top area and the Jones family. There was also one written by my Great Grandfather’s brother W. G. Jones in a 1962 issue that tells a little about their life there as he heard it from his father Green Berry Jones, Jr.. It is titled ‘Sugar Cookies’. Green Berry Jones, Jr. married one of Joel Hood’s daughters. Their son James Henry Jones was born here in Benton County and he married Alma Burgin. Their son Glen Burgin Jones is my grandfather. He was born in Burgin Valley Arkansas (Benton Co.) and we lived in Hiwasse Arkansas (also Benton Co). I grew up on the family farm there. I would be interested to know if you have any information on a Barnes or Barns family in the Jasper/Newton Co. area during the civil war time or immediately after. Alma Burgin’s (my Great Grandmother) mother was Mary Elizabeth Barnes (Barns) and we believe her father was a Matthew or maybe John Barnes. We know that his father’s name was Thomas Barnes. Mary Elizabeth was born in the 1860’s in either Newton or Jasper Co. and her father John/Matthew was born there in 1848-1850?. Thomas was born in Davidson Co. Tennessee and i know from your blogs that this is where all the Jones/Spence, etc… were located and then moved to Missouri. If you ever run across anything please let me know. Family history that has been passed down to me and my father from the Great Grandparents is that they were Cherokee or at least part Cherokee. My father actually remembers mail coming to his Great Grandmother(Mary Elizabeth, who lived with them until her passing) regarding the Cherokee rolls. Let me know if you want a copy of the article I found and mentioned above. Thanks! That is so interesting. I’ll have to check to see what I have on the Barnes family. Back when we visited the cemetery, I knew very little about the Jones family, and I remember the number of graves with the Jones surname. They are all together. Joel Hood and Nancy Haskins are on the far end. I descend from Mary Ann Henderson who was living in the Jones residence in 1850. Are the Hendersons and Jones related? I’m going to have to look into that. At this point, I don’t know. Where did you find the information about Mary Henderson being the daughter of Abner and Mary Henderson? I am compiling all my research into a book format but cannot find a source on this. 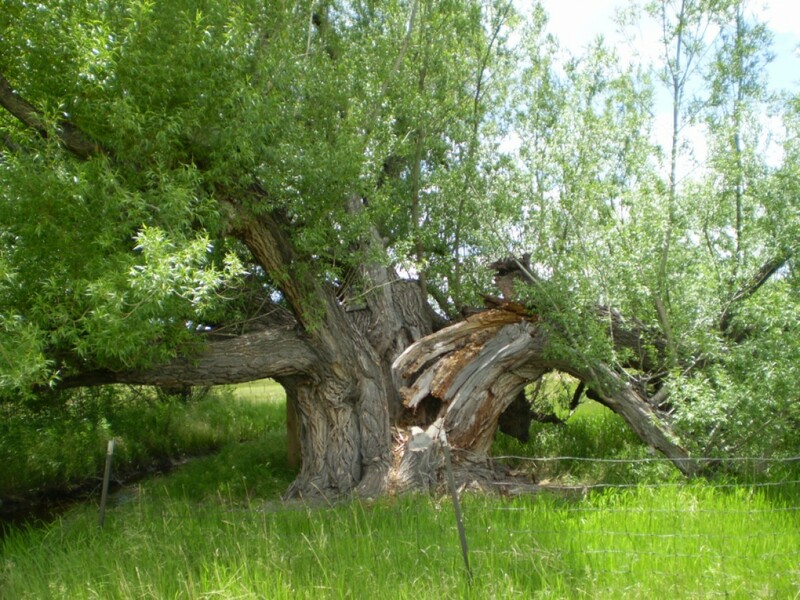 Every tree I’ve looked at on Ancestry just references another tree for the source.